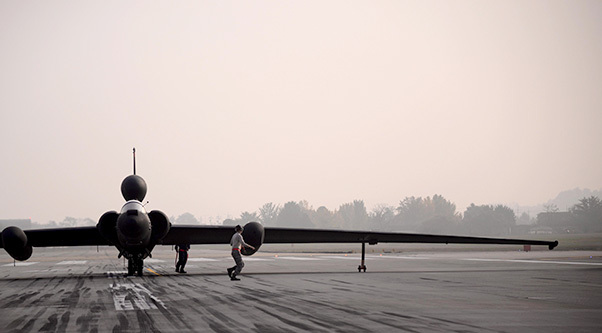 Airmen assigned to the 5th Reconnaissance Squadron perform last-minute checks on a U-2 Dragon Lady before it takes off Oct. 23, 2015, at Osan Air Base, South Korea. The U-2 Dragon Lady is an important part of the Air Force’s intelligence, surveillance and reconnaissance (ISR) mission enterprise, and provides high-altitude, all-weather surveillance and reconnaissance in direct support of U.S. and allied forces. 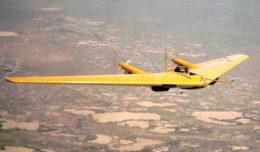 U-2 aircraft from the 5th Reconnaissance Squadron at Osan Air Base, South Korea, have spent almost 40 years delivering vital imagery and signals intelligence to command leaders throughout the Korean Peninsula. The U-2 Dragon Lady is an important part of the Air Force’s intelligence, surveillance and reconnaissance mission enterprise, and provides high-altitude, all-weather surveillance and reconnaissance in direct support of U.S. and allied forces. Bartran, a U-2 pilot with 10 years of experience, explained how the U-2 has assisted with almost every phase of conflict during the past years, including peacetime indications and warnings, low-intensity conflict, and large-scale hostilities. Lt. Col. Justin Bright, a 5th Reconnaissance Squadron pilot, is helped with his equipment by Senior Airman Beatriz Ezquivel, a 5th RS launch and recovery technician, and Staff Sgt. Erving Perkins, a 5th RS physiological support division supervisor, Oct. 23, 2015, at Osan Air Base, South Korea. Medical technicians assist pilots with putting on and taking off their suits before and after missions. “It brings us all great pride to know that our squadron’s capabilities have consistently proven their importance,” he said. Flying at 70,000 feet on a combat mission at an altitude equivalent to approximately 13 miles, the U-2’s many systems must work perfectly every time despite the age of these aircraft. 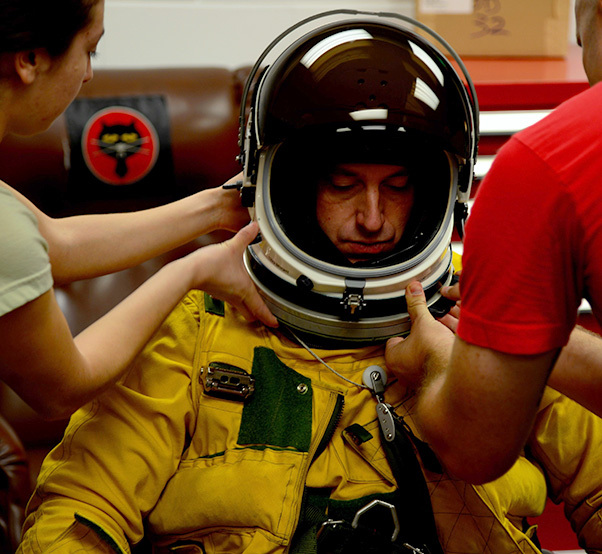 Pilots are required to wear full pressure suits during flight, similar to those astronauts wear. The ISR capability is one of the Air Force’s enduring core missions and is integral to global vigilance — it’s foundational to global reach and global power.